We are returned to the spectacular Saguenay Fjord. We were last here five days ago, and this morning the colors on the river were moving toward their peak. 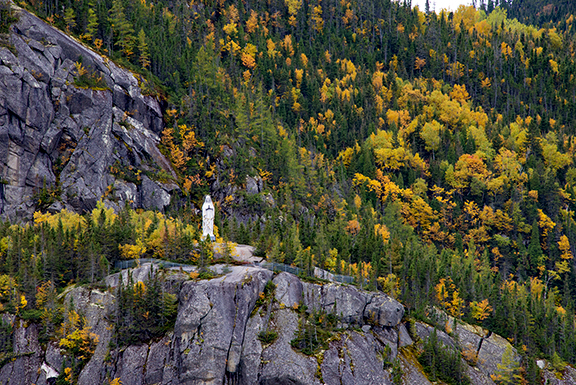 In keeping with a tradition dating back more than a century, Silver Spirit came to a halt and then made a slow circle in the river in front of Notre Dame du Saguenay, the statue of the Virgin Mary erected 1,000 feet up the rock face in 1880 by a local salesman giving thanks for his survival after falling through the ice with his horse and sleigh. Since the statue was installed, tour boats, cruise ships, and many other vessels sing or play Ave Maria in tribute. Today the Italian phenomenon Andrea Bocelli and the American soprano Barbara Bonney performed for us…virtually. 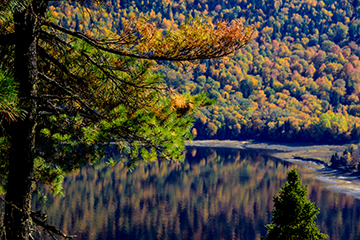 You can read more about the Saguenay Fjord and see some pictures from previous visits in my blog posting of 3 October 2018. 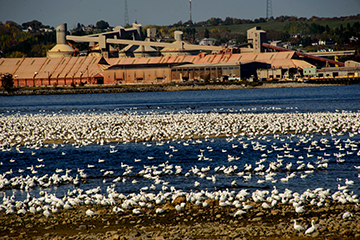 Tonight we return to the Saint Lawrence River and head for the river city of Baie-Comeau.